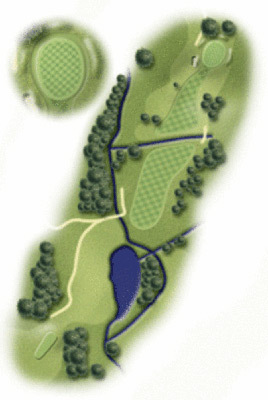 The 1st (previously the 10th) is Ham’s signature hole with two streams and a pond to challenge you off the tee. Select your club with care off the tee depending on the direction and strength of the wind. 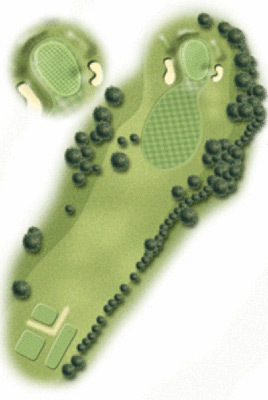 Ideally, your landing target is the area between the streams leaving a simple iron then to a raised green protected by trees on the right and a greenside bunker on the left. The 2nd. A shortish par 5 but certainly not a pushover. A drive down the right over the stream will give you a 2nd shot over the brow but be careful to miss the fairway bunkers on the left. Your 3rd shot needs to avoid the bunker on the front left to reach the green which slopes from back to front. 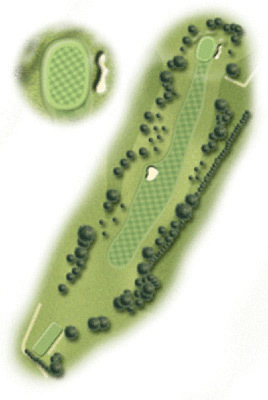 The 3rd is a short par 4 with out of bounds down the right and a fairway bunker on the left. A good drive will leave you a short iron in to the green which has a grassy hollow on the left and a hidden bunker on the right. 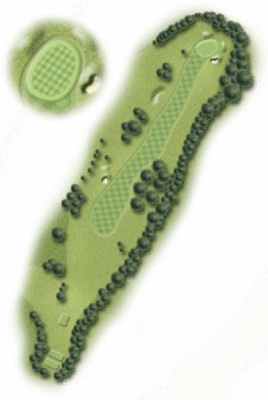 A challenging par 3 with greenside bunkers on the left and front right with a dip in front of the green. A well struck shot to the left side of the green will see the ball come off the slope to the green centre. The rabbit fencing down the right is an “immovable obstruction” and does not form part of the boundary of the course. Better long than short is the secret of this hole. The 5th. A good par 4 requiring two good shots to reach the green in 2. Out of bounds down the right as well as a copse of large trees and a fairway bunker on the left requires a long straight drive to have a chance of getting up in 2. Green slopes from back to front and has a bunker front right to catch any wayward shots. The 6th. 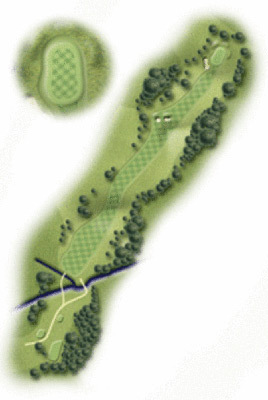 A straightforward par 4 where the prevailing wind generally comes off the left so beware of the out of bounds and a fairway bunker on the right . Your second shot needs to avoid the bunker in the centre of the fairway 100 yards from the green. 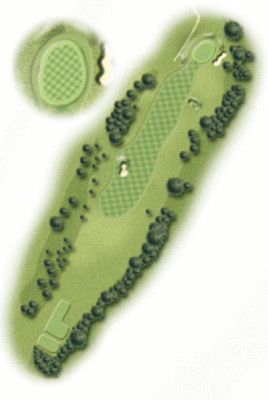 The green has a dip in front and a bunker on the right and slopes from the back to the middle and up again towards the front. 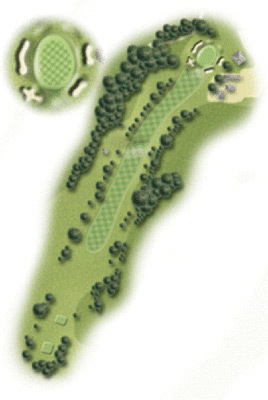 A short but challenging par 4 with out of bounds down the right and a fairway bunker on the left. The fairway slopes down towards the green which slopes from back to front and has a greenside bunker on the right. A 200 yard + par 3 which might need your driver on a windy day. 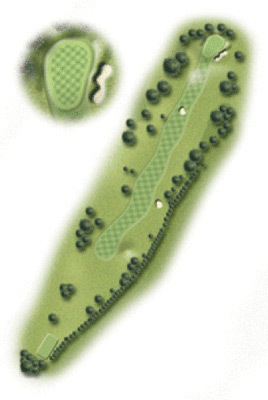 Avoid the greenside bunkers and be very careful with your putting. A good par 5 to finish the front 9. Out of bounds down the right and your tee shot needs to be down the left to give you a sight of the green. The green is protected by two front corner bunkers and has two levels and a mound in the middle of the green.